Lucifer Season 4: The Devil Rises Again on Netflix!! The Devil went down to Nexflix; he was looking for a soul to steal. Instead, he found a new home. Hallajula! 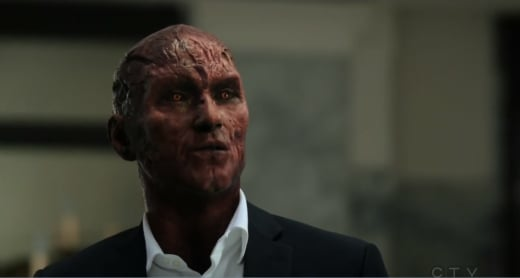 That's right, our devilish anti-hero is sticking around for Lucifer Season 4, so we'll continue the story we've grown to love! After weeks of steadfast cheering and jeering (depending on the side), the voices of fans have been heard. 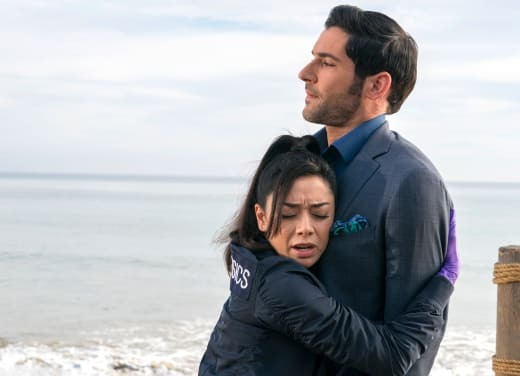 Fox may have allowed the show to go stale with too many long breaks, but at Netflix, Lucifer will get the kind of love it deserves. #LuciferSeason4 on @netflix wow that sounds nice. You fans made this happen. #LuciFansrock #Lucifersaved ✊😈"
Aimee Garcia, who plays Ella on the series, shared her excitement as well, "Thank u 2 our Lucifans ... YOU ALL (& @netflix ) were OUR angels!!! LUCIFER. FANS. ROCK. 😈🙌🏽🙌🏽🙌🏽"
Showrunner Joe Henderson, who had been out pounding the streets trying to find a new home shared this message, "Thank you thank you THANK YOU to all the #Lucifer fans. You brought us back. YOU did this. "So relax, take a breath, put some ice on those fingers that have been hashtagging up a storm... and get ready for more deviltime 😈"
Congratulations are already coming from fans and close friends of the production, too. 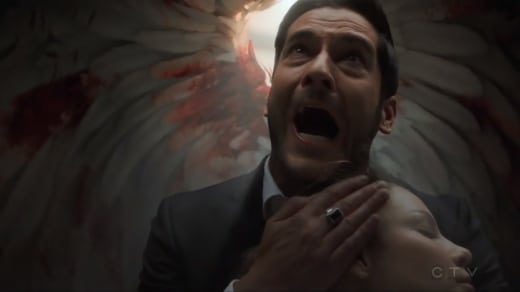 Tricia Helfer, who played two characters on the series and died during Lucifer Season 3 in a heartbreaking scene shared on Twitter, "Congrats, Lucifer team, on the Netflix season 4 pickup. You’re gonna rock it. Lucifans, you guys made it happen with all the noise. Congrats to you all too!" Even fellow showrunner Hart Henderson sent out his congratulations noting, "This is a big deal." 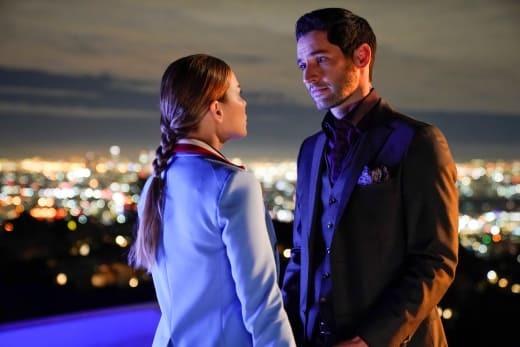 Lucifer is the second series canceled by Fox this season to be picked up by another network. Shortly after it's cancelation and also following an outcry by fans, NBC picked up Brooklyn Nine-Nine. It's becoming more common for networks seeing opportunities with series that originating networks night not and to pick up shows after cancelation. Lucifer and Brooklyn Nine-Nine were joined by The Expanse, which was canceled by Syfy and rehomed at Amazon. In this instance, Fox cut Brooklyn Nine-Nine, but will be relaunching Last Man Standing, the Tim Allen comedy axed by ABC a couple of years ago. Previously, Netflix relaunched Longmire, a show canceled by A&E that lived on for several more season on the streaming network. This new normal gives a lot of hope to fans that shows they love can be resurrected not only if what they watch is quality television, but if their voices are heard. 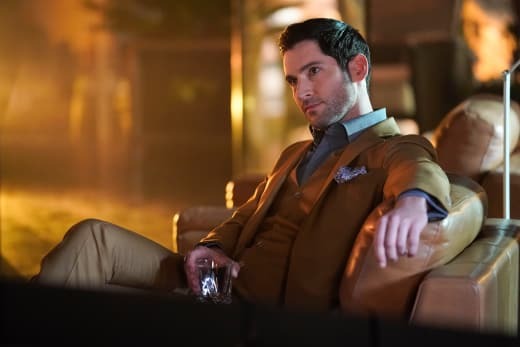 What do you think about this fantastic Lucifer news? Do you think it will work better in a binge-watching format? How would you want us to cover the show for discussion on TV Fanatic in the future? Hit us up with all your thoughts below and watch Lucifer online to revisit the stunning conclusion to Season 3. Now we can rest assured we'll learn how Chloe feels about knowing Lucifer's true identity!